Boost your careers page with these 12 features that will make your company and jobs stand out with candidates. Includes the information candidates want to know when researching employers, so you can focus your website content improvements on what matters most. Showcases inspiring examples from: Spectrum Health, New Home Star, Intellinet, CubeSmart, Bankers Life, SeatGeek and more. Whatever your employer brand awareness, company size or recruiting budget, you’re competing for the same top talent as everyone else. So then how do you make your company stand out and ensure that your career opportunities are appealing to candidates? There are lots of compelling reasons why your current employees have chosen to work with you. 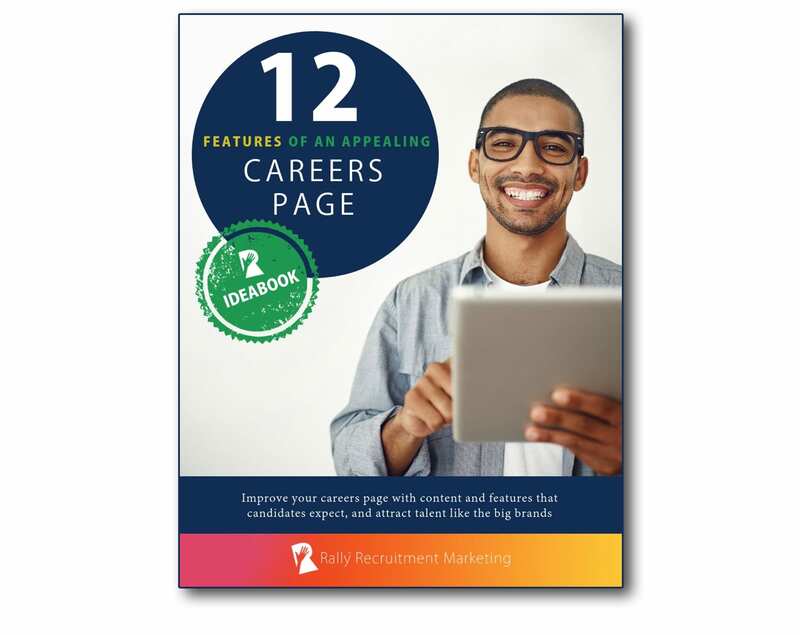 Now you need your careers page to tell that employer brand story with the content and information candidates are looking for and the features and experience they’ve come to expect from any employer, regardless of size. In this Rally Ideabook, sponsored by Workable and Glassdoor, we’ll show you 12 visual examples of content and features of careers pages from small and mid-sized companies that get it right. We’ll also provide you with data and research on the information that candidates want to know, so you can focus your careers page improvements on what matters. This Ideabook is designed for HR, Talent Acquisition, Recruitment Marketing, Employer Branding and Candidate Experience practitioners. With a careers page that shows candidates you know what’s important to them, you’ll be ready to compete for and win top talent. Download your copy of the Rally Ideabook today. Workable and Glassdoor are sponsors of Rally. Their sponsorship fee helps us to create educational content and events on Recruitment Marketing.